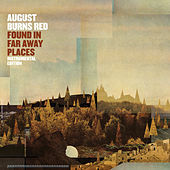 August Burns Red are a Christian metalcore band from Lancaster, in the middle of Pennsylvania, just up the road from where Amish folks still drive horse-drawn wagons. When they came together in 2002, some guys in the group were still in high school; their name, they've said, came from a newspaper headline about their original lead singer's ex-girlfriend lighting his Irish setter on fire. 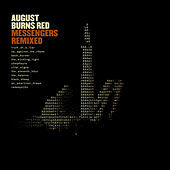 August Burns Red released their first demo EP in 2004; by 2007 they topped Billboard's Christian album chart, peaking at No. 81 on the overall Billboard 200, with their second full-length, Messengers. By that time, the band was already on its third lead singer, Jake Luhrs. Constellations, which also hit the Christian album chart pinnacle and was nominated for a Dove Award in the Best Rock Album category, followed in 2009, as did an EP of outtakes; a 7-inch vinyl cover of the Christmas carol "O Come, O Come Emmanuel"; and a remake of Britney Spears' "...Baby One More Time" for a compilation called Punk Meets Pop 2. The band has toured with like-minded artists such as As I Lay Dying, Enter Shikari, All That Remains and Underoath.